Youth cricket at EAG goes back a very long way, with Reg Ralph running one of the first colts sides in the area back in the early 1970's. 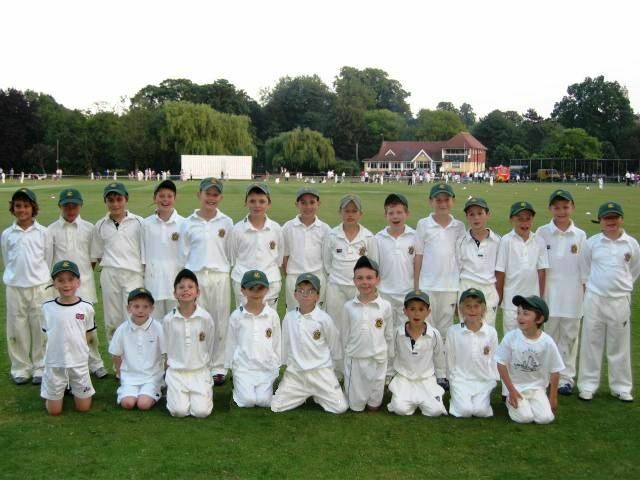 Over those past forty years, we have provided enormous fun for hundreds of youngsters and produced a stream of good players for our senior sides. EAG is committed to developing its youth teams and offers a comprehensive indoor and outdoor training programme, competes in local leagues and runs social events. Importantly, EAG offers a fun and inclusive environment for all young players to learn and develop their cricket skills. In 2019 we will be fielding seven youth teams. Our hardball sides are - Under 15s, Under 14s, Under 13s, Under 12s and Under 11 terrier. We also run two Kwik Cricket teams (primary age) and will compete in local competitions. We are proactively looking for new players (boys and girls) at all ages and have fully qualified coaches to help steer their progress. To find out more please go to the Contact Us section. Youth players are provided with a club shirt and cap when they first join. Replacements are purchased from the club web site.Youth shirts are sponsored by Blackstone Contractors – use the ‘EAGCCShirt’ discount code when checking out. Trousers and other kit are not sponsored and can be purchased from the web site or any other source. When playing in matches or Kwick Cricket festivals, please wear your cap, white top and trousers, trainers/boots and socks. Hardball players will also need to provide their own abdomen protector (aka box) and supporter to hold this in place (aka jockstrap!) and a batting helmet. For those who have just started playing the club has a lot of playing equipment that can be borrowed. Whites do NOT need to be worn at training - just sensible sports training kit. Players MUST be registered and subscriptions paid in full before the season starts. Non payment will mean the player is not insured and will not be chosen to play. Teams will be select based on availability and selected players notified by email. Selected players should confirm availability PROMPTLY by replying to the selection email. Players are responsible for notifying their manager immediately of any change in their availability. Check this web site or contact your team manager for information. Assume a game is ON unless advised to the contrary. Please do not telephone your manager until TWO hours before the due start of play. All of our Youth policies on protection and care for child safety can be found on our policies page. The playing ethos and guide to attitude and behaviour is detailed in out 'Fun Skills Winning' policy document.